We will also have a supply of Fat Packs and Booster Boxes. Best of all, booster boxes will be on sale for $114.99 Friday only. The first 60 players to buy a booster box also get a Buy-A-Box Promo Elusive Tormentor with their box. 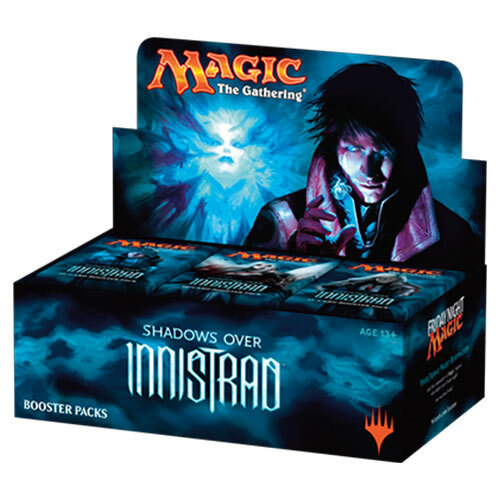 And don’t forget: Saturday we have release weekend Sealed at Noon and Draft at 4 pm for Shadows Over Innistrad. All players attending both of those events are eligible to win our Avacyn Standee – can’t make both events? You can still be entered to win the Avacyn Standee if you play any combination of two of these events: Saturday Commander League, any of the FNM events, release sealed, release draft.